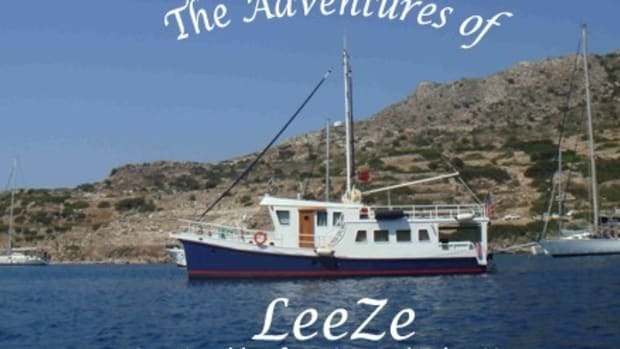 Join Lee and Zehra aboard their steel, 50-foot George Buehler trawler as they explore the Turkish Coastline in the summer of 2013. 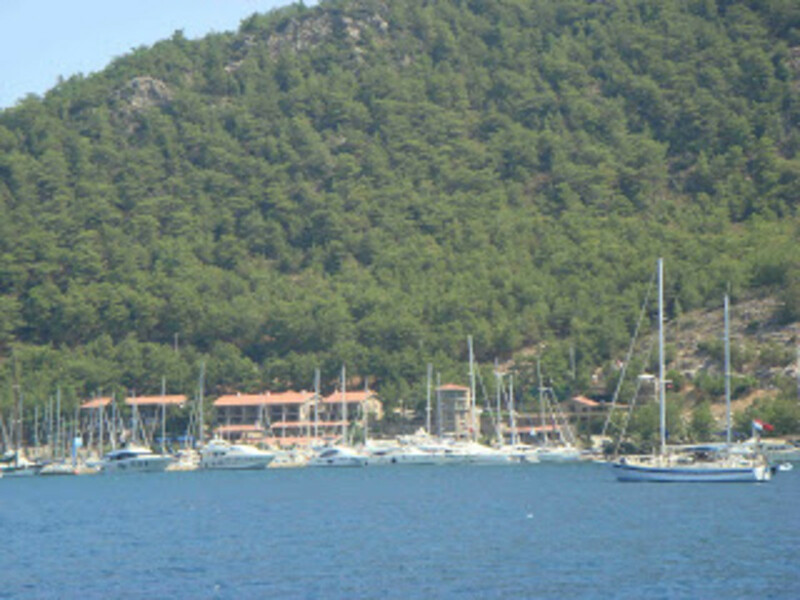 Stay tuned for more entires from cruiser-bloggers in the Destinations section at www.passagemaker.com. We WERE supposed to depart this morning for Orhaniye but again, fuel problems beseech me. Looked to replace both fuel filters on the engine but ouch! I Don’t haveany. 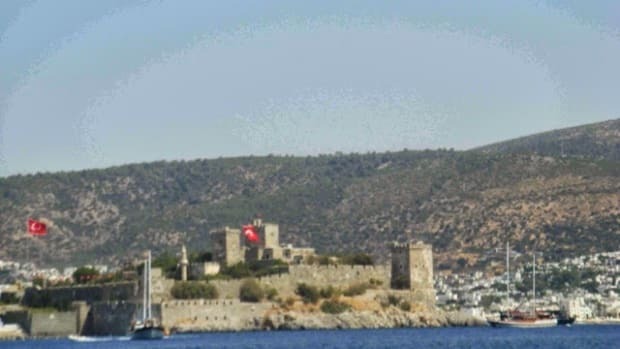 Drop the anchor again in Selimiye and make a quick call into my engine person in Marmaris and Zehra will be off tomorrow to get them by the dolmus (shared taxi) van. Again kicking myself for not having on any board!!! But, there may be a silver lining in this error. It gives me time to think. I’ve been thinking about this fuel starvation issue and do not believe it is a fuel filter clog issue. When I had that problem on the East Med Yacht Rally last year, the engine died like a rock falling thru the air. Quick and sudden. The symptoms I am having now are more like somebody gasping for breath. 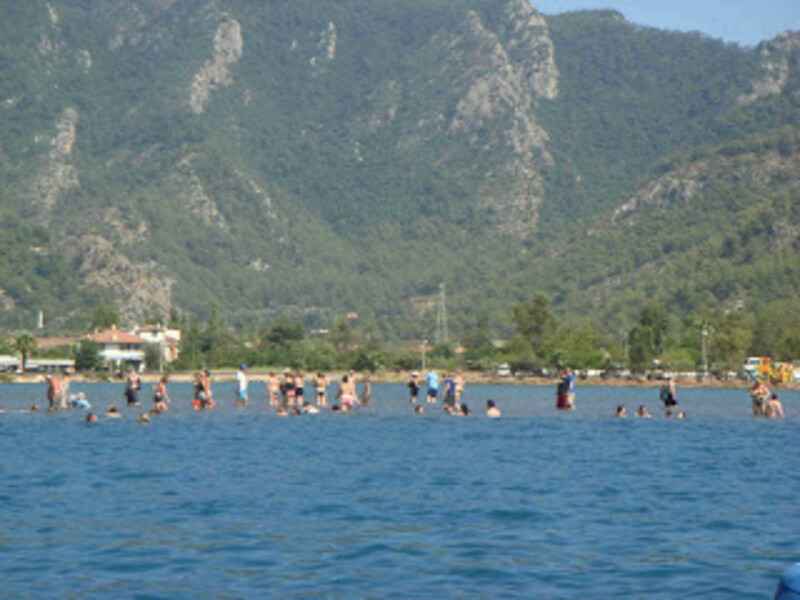 Anyway, Zehra is off to Marmaris to get the filters and we have decided to push on tomorrow. Meanwhile, I am looking for a vacuum leak. I believe I found it (loose fitting on the engine fuel pump suction line), seal it with thread sealer and hopefully tomorrow, all is well. Had fuel starvation issues AGAIN on the trip to Orhaniye but this time, I put on the fuel purifier pump and slowly came into the anchorage. It occurred some 40 minutes after leaving the anchorage, and this after 20 minutes of just circling the anchorage as a "mini-sea trial." I’m bummed out, but while anchoring, I saw the Nordhavn 55 Salty Dawg (owners David, Lowie, Danforth and new to us, Tatli!) anchored. 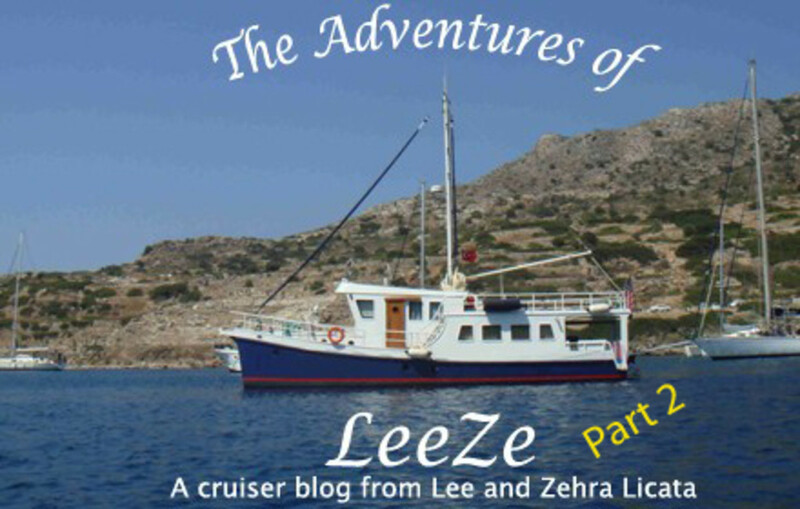 We last ran into them in May of 2012 at Teos Marina (Sagcik, Izmir) while on the East Med Yacht Rally. Socializing though will have to wait. The view of Orhaniye from LeeZe&apos;s cockpit. When I got into the engine room to stop the engine (I start the engine the first time every day from the engine room, and shut it down for the last time every day from the engine room) a fuel drip caught my eye. I held off stopping the engine and saw it drip again. The leak is coming from a pipe connection after my Separ Fuel/Water filter system and is in the line that is the suction pipe to the main engine fuel pump. Normally this line is under a slight vacuum, but because the fuel purifier pump is on, this line is under pressure. Could this be the elusive problem? I killed the engine, and left the purifier pump on to recirculate the fuel through the Separs while I ponder this new bit of data. By playing with the purifying pump&apos;s discharge valve, I could see exactly where the fuel is dripping. I tried to tighten the fitting, but it does not move. So I decided to take it apart. I know the drill here. Once you start taking suction fuel pipe apart, you can chase vacuum leaks for weeks. Being real careful, I disassembled the coupling, applied thread sealant, and re-assembled. Turn on the pump to pressurize the pipe and the leak remains. Next stop? Take the pipe off at both ends and inspect. I do, (after a struggle) and decide to apply thread sealant not only to the threads, but also to the coupler&apos;s sealing face. Put it all back together (of course going together is more of a problem than coming apart, but you already know that!) and pressurize the pump. Still one leak. (Had not thought to thread seal the pipe threads that this pipe joins, duhhhhh). Again, secure pump, take apart, apply thread sealant, re-assemble, and test. No leak after 15 minutes running the pump. I wrapped the offending joints with multiple layers of plastic wrap, thinking that if there is still a small vacuum leak, the wrap MIGHT seal it. I then drain both engine fuel, oil / water separator filters (Zehra had brought back from Marmaris new ones, just in case) and refill them with fuel to take out the air. After doing all that, while still at anchor, we started the engine and ran it for one hour at 1600 rpm. (My normal traveling rpm is 1400.) After one hour, I stopped the engine and think I may have a victory. Hot, sweaty and tired, I plan for a short sea trials tomorrow. Up early, have coffee, tender to Salty Dawg and invite them to Ersoy&apos;s for dinner. The two of them agree and that is a good start for the day. (One takes small successes whenever possible!!) 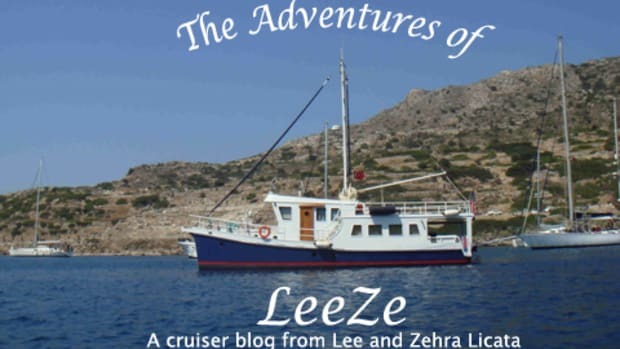 Zehra gets up, we have coffee together, and are underway at 0955 and are moored stern-to at Ersoy&apos;s pier at about 1015 this morning. No engine problems noted but this was hardly a test. After breakfast, it’s off to the weekly farmer&apos;s market some 1000 meters down the road, where we load up on fresh fruit, veggies, onions and potatoes. After the market, I noted the drinking water seems to be "funny tasting" so performed a soft water measurement test and the water is too hard. So, go down to change the HOH resin and carbon filter and while THAT did not go smoothly, it eventually goes and within a couple of hours, we are again drinking soft water. I call it quits for the day, relax, take a shower and wait for dinner. As it turns out, no one from Netsel is coming so it will just be LeeZe and Salty Dawg. Dinner is at 2000, the sun is setting, and we are sitting at the table enjoying the dinner and company. While Ersoy has some pretty great looking fish, we end up on the meat and potatoes side of the menu. By 2230, dinner is over, we all are ready to call it a night (Salty Dawg still has to walk their two dogs ashore) and again I fall asleep like a rock. Decided to spend one more day at Ersoy&apos;s restaurant. Trying to relax. We took the tender to Kiz Kumu, a beach resort across the bay. Its claim to fame is that it "sits" next to a long sand bar that meanders its way out into the bay. The mostly submerged sand bar gives swimmers the appearance of walking on water. If you did not know it existed, and you pulled into the bay, and your paper charts were not up-to-date, you would see a wide bay with people like Jesus walking on water! I cannot tell you how many pictures I have seen of yachts stuck on the sand bar thinking they could get to the other side. Anyway, we read a story about some maiden who spread the sand trying to get across to escape some pirates that were attacking her father&apos;s kingdom some 3000 years ago. We think it makes for a great story, but have reason to doubt its authenticity. After the beach, we came back, relaxed and had another great dinner at Ersoy&apos;s. This time I had calamari and Zehra had a mixed fish and meat and veggie dish. Today is test day. I am NOT looking forward to it. Actually, I’m dreading it. 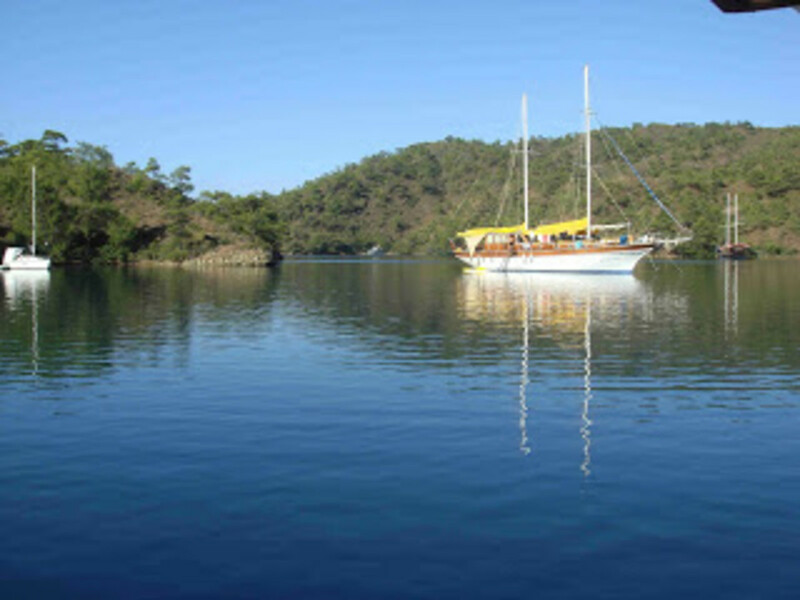 We depart Ersoy&apos;s Restaurant for Bencik, a long cove North and West of Orhaniye. Underway at 1030 and we are anchored in the cove by 1230. The engine operated well the entire time. That is a great first step but I need it to not hiccup the next 4-5 times before I can relax and declare victory. We intend to remain here overnight, explore the cove with our tender, and move on tomorrow to Kurucabuk.